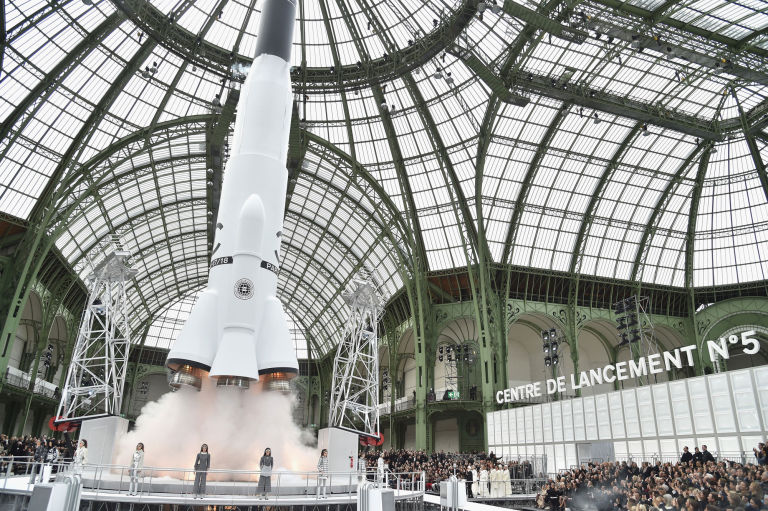 Chanel launched a rocket during their space-themed fashion show #WearableWednesday #Chanel « Adafruit Industries – Makers, hackers, artists, designers and engineers! 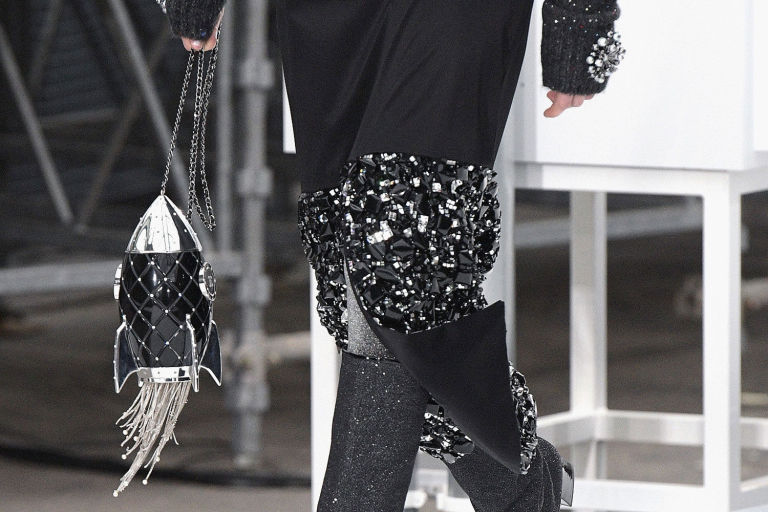 …For the finale: blast off! Elton John’s “Rocket Man” began to blare and the giant rocket actually took off: The jets glowed red and billowed with smoke as the rocket launched towards the top of the Grand Palais.